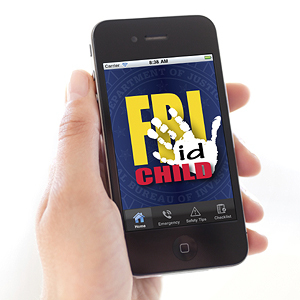 The FBI is offering a cell phone app for parents in the event that their child ends up missing. WCCO reports that the bureau is encouraging parents to download the Child ID App to expedite the release of information to the public. The app allows parents to send photos and information about their child so it can be transmitted publicly. “If your child were to go missing, with one push of a button, this information is transmitted quicker than you can dial 911,” said FBI Special Agent Timothy Gallagher. Posted: 6/4/14 at 9:16 AM under News Story.